The word ‘consultancy,’ when applied to the world of gardening, can mean almost anything from discussing planting ideas and planning, site evaluation including recommended uses and maximising the value and potential of a site, to advice on water management and noise attenuation. The list of topics is very long indeed! I offer all of the above, although I tend to specialise in the more complex issues usually involving larger and labour intensive sites. Private clients remain strictly anonymous. Commercial commissions include Loseley House, Bradstone, Eton College, Harpak (Moscow), Harrow School, Knight Frank Ltd , Goodwood Estate, B & Q Ltd and The Wellcome Trust. Private work varies, with few cases the same. Commercial projects include Site Working Practice surveys (to produce new working practice methodology and strategy), Departmental analysis and trouble shooting, Site Potential reports and evaluations, Site Valuations (including costings reference insurance claims) and feasibility studies (i.e. specimen plant moving, repairs to aging and time damaged structures). I also carry out Staff Evaluations including skills requirements and assessments, making recommendations in accordance with my brief. 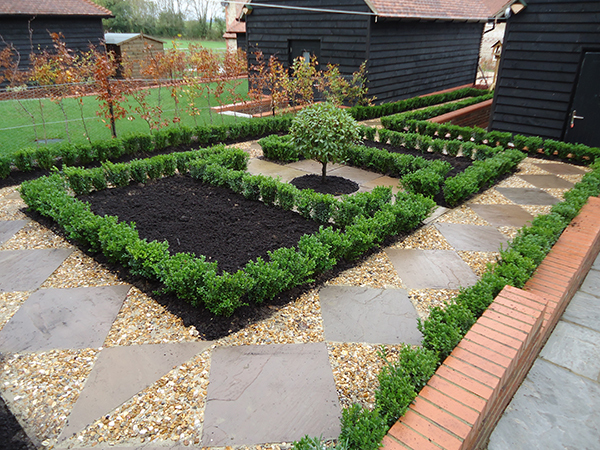 I also advise on the use and procurement of various hard landscaping materials, especially reclaimed and matching products on restoration projects. Rates are variable dependent on distance and number of visits. No charge is made for mileage or travel. No charge is made for overnight accommodation. Site visits are limited to mainland England. Other locations are subject to individual quotations. Day rates are from £500.00 including travelling and office time, with no disbursements. Half Day rates from £300.00 as above. Value Added Tax is not applicable.